The Kimberlee is a cooperative (co-op) residential community with 90 residential units located in the Myers Park neighborhood of Charlotte, North Carolina. 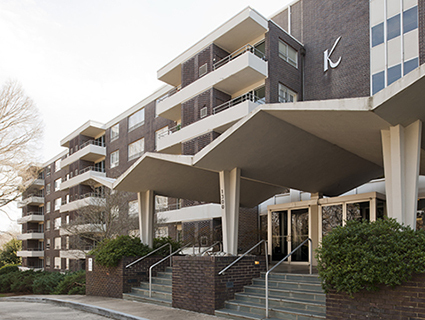 Since The Kimberlee is a co-op, our residents purchase shares in the corporation owning the property. The Kimberlee is a quiet and very safe, controlled-access community with five r﻿esidential floors. We boast sound construction, a large community room, plenty of residential and guest parking, a be﻿autiful fenced-in pool, and the lush landscaping you can expect to see throughout Charlotte.